Subtle grey and off white- just as expected. The edges were Smashed a little upon arrival from being rolled up crooked (or shipping), but it flattened out nicely. Soft, but somewhat thin, so it is nicer with a pad. 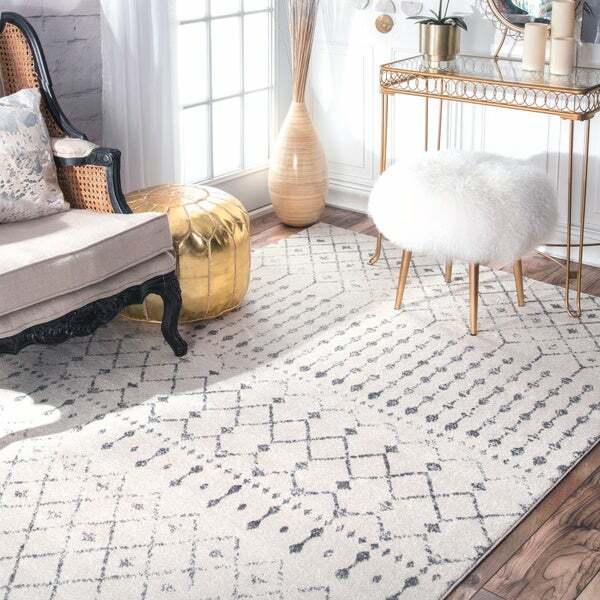 Give your home a stylish update with this elegant area rug. 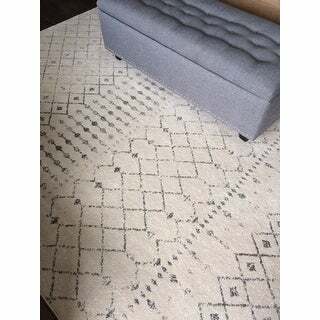 Featuring a subtle abstract pattern in soft shades, the rug enhances any space with contemporary sophistication. Easy-to-clean yarns ensure easy maintenance and lasting style. Dimensions 60.0 In. X 6.0 In. X 6.0 In. Nice rug! I've only had it for a few months but so far it cleans up nicely, looks amazing and it's cozy under the feet. We have hardwoods throughout our house so I needed something soft and warm in the living room. I also added one of those thicker rug pads which may not have been necessary but it does add another layer of coziness. The color is more of an ivory than a white although it works well with our light gray walls and transitional/modern style. The design is a gray color. The other day I spilled a little water on the rug and it puddled, did not soak in, allowing me to wipe it up easily. This is a great rug and I expect that it will hold up for a long time. I looked at rugs for months before deciding on this one. I'm so happy with my decision. I ordered the 9 x 12 and it fits perfectly under my furniture. The colors are as pictured online and it is soft with nice cushion. I didn't use a rug pad. This rug is perfect! It really helps lighten up our den with navy blue walls and wooden floors. The faint pattern is understated and doesn't clash with other patterns in the room, and it really helps tie the room together. Colors are as expected and the rug is easy to clean. We're happy with this purchase. Love the pattern and quality of this rug! After reading a couple of reviews I was worried about the quality and smell of the rug because I never bought a synthetic rug in the past. After opened and rolled it out I couldn't be happier that I bought it! 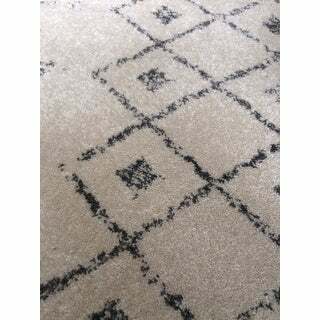 The rug is soft, odorless, and looks just like what you seen in the photo. It also works beautifully with my new wood floor. Very happy! I LOVE LOVE LOVE this rug!! My bedding and curtains are white and my carpet is beige so I wanted a transition between the two. I’ve had white rugs in the past and have learned white rugs don’t stay white. This is the perfect color. I would HIGHLY recommend this rug! 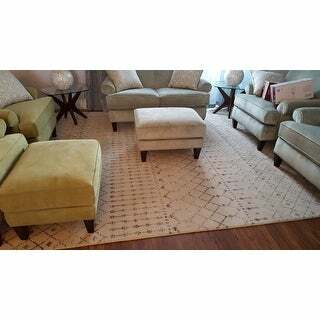 Though the rug remains less plush than desired, it continues to prove itself an overall comfy, but durable piece. 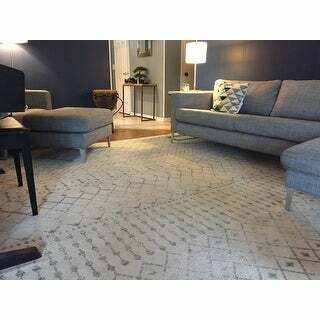 And, while its pattern can’t be confirmed as a relplica of that featured among site photos, when thoroughly cleaned and vacuumed, the rug’s true-to-pic, softly-creamy ivory color is restored. 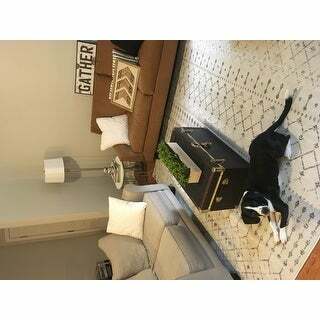 Albeit with a touch less of its original subtle sheen and uniformity, this wine- and coffee- spill, puppy potty-training- resistant rug has thus served as a decoratively coherent underlaying in multiple rooms for, at this point in time, multiple years. 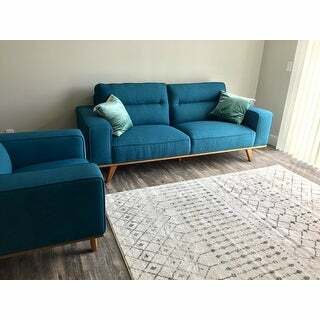 Specifically, it has been successfully repurposed from living room to guest room, through a move across town, to living room, to master, back to our living area with little change in texture, evidence of wear or relocation, or tear to its edges. We’ve enjoyed it in each space it has lightened and softened, appreciating its knack for unfolding wrinkle-free within a few days — give or take one or two and dependent upon one’s investment in releasing any kinks or impressions. Consistent with the specified size, we’ll continue to enjoy repurposing it (at least) once more here shortly as we adapt the guest room more toward the likes of a study. It’s not a perfectly precise match the likely-enhanced image shown, but it’s a safe bet that however you’re perceiving that image won’t be dissatisfyingly different from the real-life product received. Given our relatively frequent moving of the item, it’s obviously not an overwhelmingly heavy piece, either, but one we continue to use without a pad beneath. 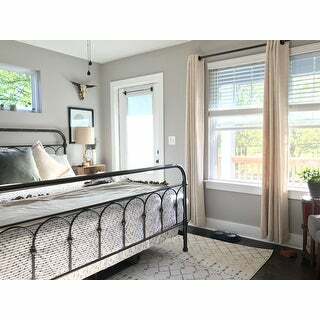 Check the specs and compare it with its anticipated place in the household, make good use of any active Overstock offers, and within a reasonably-paced, decently-communicated shipment and delivery schedule, unpack this nicely neutral rug of good value. (I almost never give 5 stars in my reviews, but might rate this purchase up to 4.5 stars if possible.) Thanks and best wishes with any orders! The colors and pattern are accurately shown in the photos. It’s soft and durable and is exactly what I was looking for! I have been very pleased with this rug by NuLooms. The description says, “dark grey,” but I would call the color more of a “soft” grey. I have this rug at my entry way and it’s perfect there. 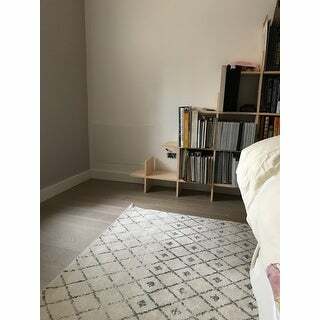 Everyone comments how much they like this rug. Even my husband likes this rug, and we have very different tastes. The rug is easy to keep clean. I would say the pattern is not so pronounced, but rather subtle. I have two white cats, and it is easy to vacuum cat hair off it. The rug feels soft on bare feet. It was a great value as well. 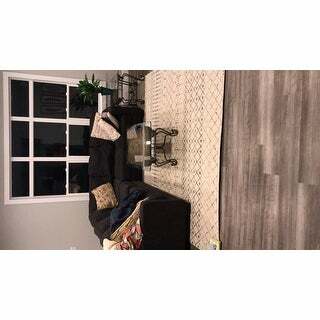 This rug feels great under the feet and the pattern is beautiful but it's much more of a tan/ivory than it is a white as we see in the photo. I purchased this rug for my baby's nursery but I'm going to put it elsewhere in the house instead. 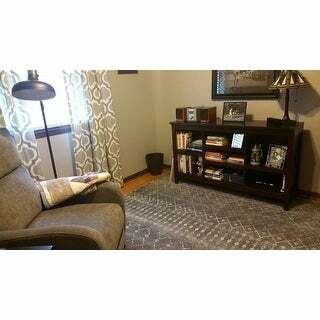 The color was beige under the grey design and did not work in the room I intended. It will be great for hiding stains, I just wish it was a bit brighter. I was also expecting this rug to be as soft as another nuloom rug I ordered with the same pile high and material but it was not. The rug is scratchy and I can't imagine my baby crawling around on it without getting rug burn. If you do order, budget in for a thick rug pad as well. It will be a great rug for someone else but did not work for my baby's room. Super quality- looks great. Maybe darker than depicted here- about the color of ash. 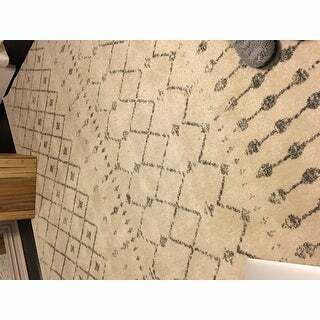 I love the size and color choices that this rug came in! The pattern is much closer together in real life than it appears online, and of course as with most things, the color differs ever so slightly. It's darker than i thought it would be, and that's my only hesitation on it. Nice quality, ordered the 8x10 a few months ago and decided to order another size for our bedroom. It fits perfectly in front of our 2 nightstand and under our king size bed. Just like the pictures! Loved that it came in an 8’ square because that’s exactly what I needed. Simple enough but not too simple and ties my whole living room together. Only had it for 2 days but the quality feel good, the like is there perfect height for what I was looking for. Only thing I wish was different was that when I unrolled it, it had waves and creases in it. Don’t know how they would prevent that since it comes rolled up but I am hoping it settles over time. Overall ver happy with my purchase! The material on this rug is soft and squishy on your feet and made such a great addition to our living room. 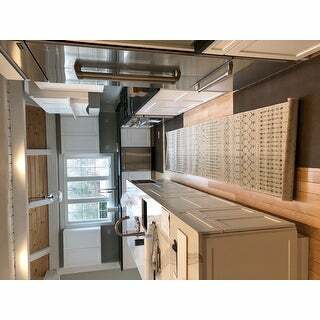 It was the perfect size for our open concept living area! Nice plush rug. Just not practical to keep clean. It fits perfectly in my living room, I am really happy about this purchase. The shipping was fast as well. 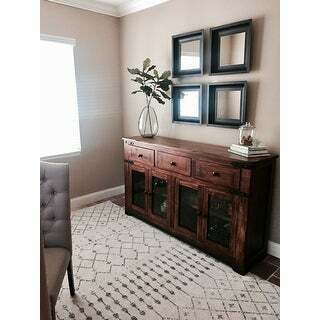 Love this rug!! Would buy again. Rug was exactly as i expected and the colors matched the image and the description. looks amazing in my living room and looks modern and sophisticated. Quality and thickness is perfect. "Is the backing on this rug stiff jute or a soft weave?" "When will you receive more stock of the Light Multi in smaller sizes?" Smaller sizes should be back in stock sometime in mid-April. "I was told there was an item I ordered is not available. I have been refunded. I want to know how do I get a notification that it is back in stock?" All the sizes listed on site are now available. I hope it helps. "What is the difference between the blue and the dark blue? The pictures don’t show a difference in color"
The pile height is 0.37 inch. "do you have this rug in 4 by 8"
No this does not come in a 4 foot x 8 foot size.